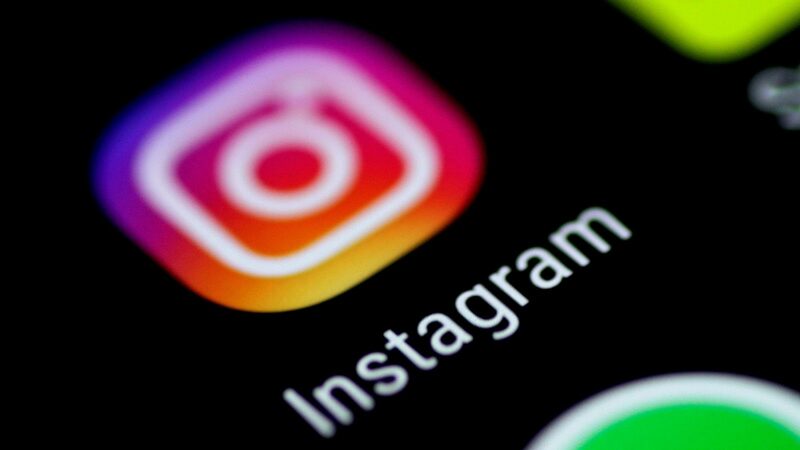 Instagram has changed the way teens connect, new parents brag, and yes, conference attendees, well, conference. But how exactly? And what are event planners to do about it? Here’s our take with #nofilter. Social media has blurred the timelines of the modern marketing campaign. No longer do launch campaigns start when branding pros want them to. The chatter–the buzz–commences when the people want it to. What that means for the modern event is that pre-event communication essentially begins when the previous year’s recaps end. Keeping a repository of images from previous years is your key to harnessing the power of Instagram to ignite interest in future events. Short videos are another excellent way to show highlights from keynote speakers and reception networking. Whatever you do, don’t go radio silent for months on end. The social media atmosphere is certain to define your conference or party; the only question is if you’ll be the one dictating the message, or letting strangers shape your message on your behalf. Perhaps the most infamous impact of our Insta-world is the selfie. If there isn’t a picture, it didn’t happen. 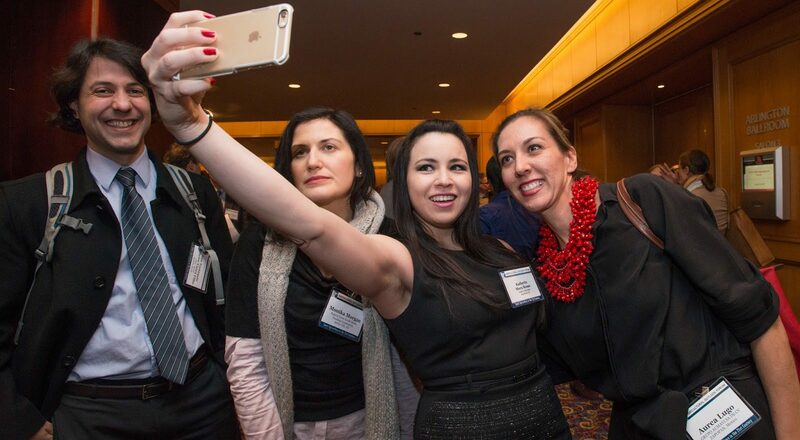 Not one to become an exception to the rule, conferences have taken on a selfie culture of their own. Keynote speakers, snapping podium shots for their followers. Attendees, taking duck-faced pictures in front of event signage. One thing will unlock the potential of the selfie for your marketing efforts: a backdrop. Give your guests a setting for those selfies. A step-and-repeat banner will do just fine, but a photo-booth quality setup will be sure to impress. Assemble some props, create a scene, and let your phone-clutching friends fill the interwebs with news of their presence at your gathering. This one is a toughy: the smartphone has empowered us with more information, technology, and tools than previously existed in entire corporate offices. But it has also come with more distraction than one could have imagined just two decades ago. A famous speaker at a podium is no longer guaranteed to keep the interest of an audience member. Now, the former US President waxing poetic for all to hear has to compete with friends’ cat pictures. The only thing an event planner can do about this is prepare and keep things concise. Keep your event moving quickly and engage your audience rather than just presenting at them. “Please refrain from photography and videography.” This request was once commonplace at concerts and conferences alike. Today, it’s almost quaint to think of asking people to merely absorb and not record. Assume that everything you do will have a secondary audience, one that you can’t control. Controversial soundbite? Picture it on YouTube. Proprietary information? Don’t even think about it. The modern audience has two audiences: the one you can see, and the one that can see you. An event hashtag is the watercooler around which all social conversations take place. Your task? Establishing the watercooler. Create one that hasn’t already been claimed and that is easy to remember and spell. Then print the hashtag on all of your marketing collateral and announce your hashtag repeatedly from the stage. Then monitor your hashtag for improper use and spamming, and watch your water cooler work its wonder. Yesterday’s cocktail reception was the end-all, be-all networking opportunity. For two hours, professionals exchange contacts before going their separate ways. Today, social media allows contacts to meet and continue conversations online. The most efficient networking tool in the connected era? Handles. A list of attendees’ social handles is the modern equivalent of hanging out Rolodexes. #Networking.